At the Learning Center, children are taught how to use the library and to respect books and reference materials. The children get especially excited when new books arrive in the library. They often compete to see who gets to read them first, especially when the books are stories or biographies. 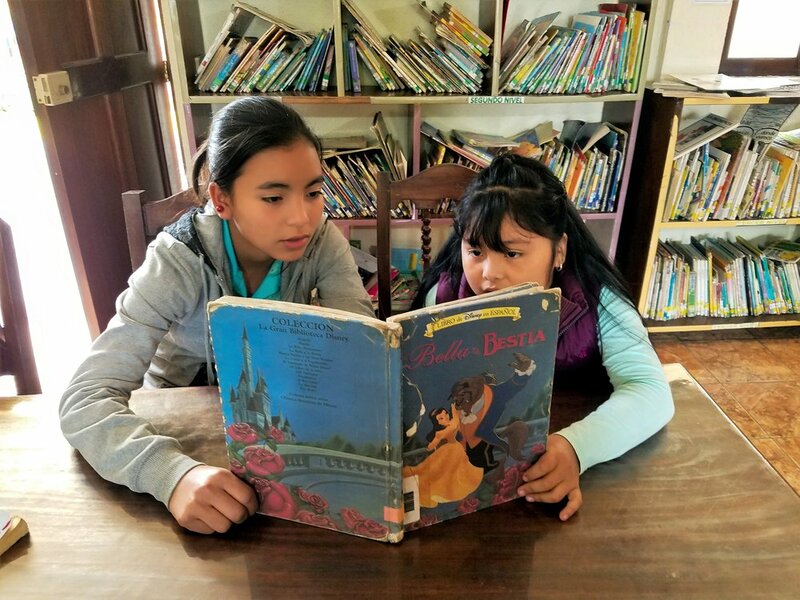 Books are extremely expensive for the average Guatemalan and many of the children currently enrolled at Open Windows Learning Center are first generation readers. The library gives them access to over 12,000 books, most in Spanish but some in English, including picture books, fiction, non-fiction (history, geography, mathematics, science and so on), and reference works such as encyclopedias and school textbooks that support the local school curriculum.